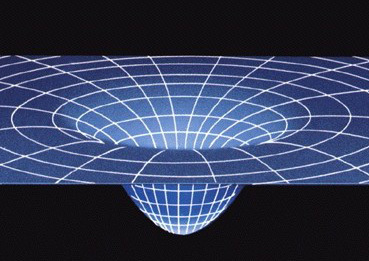 In this example, spacetime is perturbed by the motion of two black holes rotating around each other. Gravitational waves appear when some event perturbs the curvature of spacetime. We can think of a drop falling in a pond. It perturbs the water surface, and this perturbation propagates outwards in the water as a mechanical wave. 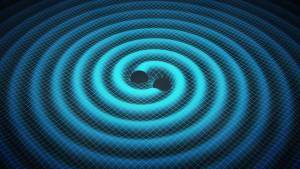 In a similar way, when spacetime is perturbed, gravitational waves are generated and they propagate outwards at the speed of light (~300000 km/s). This artist's impression shows the exotic double object that consists of a tiny, but very heavy neutron star that spins 25 times each second, orbited every two and a half hours by a white dwarf star. 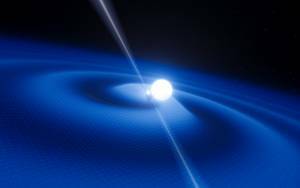 The neutron star is a pulsar named PSR J0348+0432 that is giving off radio waves that can be picked up on Earth by radio telescopes. 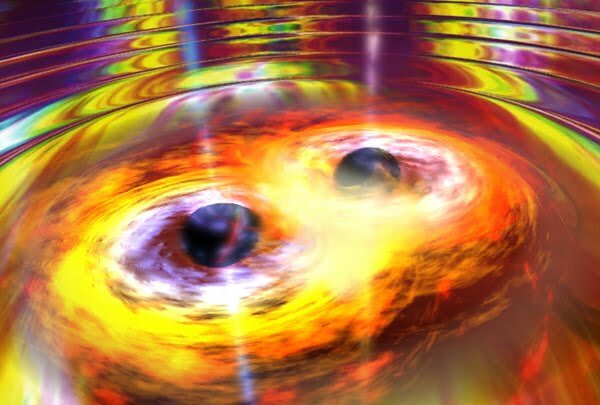 Although this unusual pair is very interesting in its own right it is also a unique laboratory for testing the limits of physical theories. This system is radiating gravitational radiation, ripples in spacetime. Although these waves cannot be yet detected directly by astronomers on Earth they can be detected indirectly by measuring the change in the orbit of the system as it loses energy. 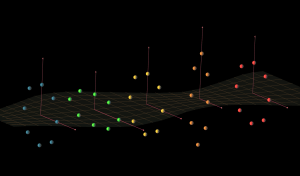 As the pulsar is so small the relative sizes of the two objects are not drawn to scale. 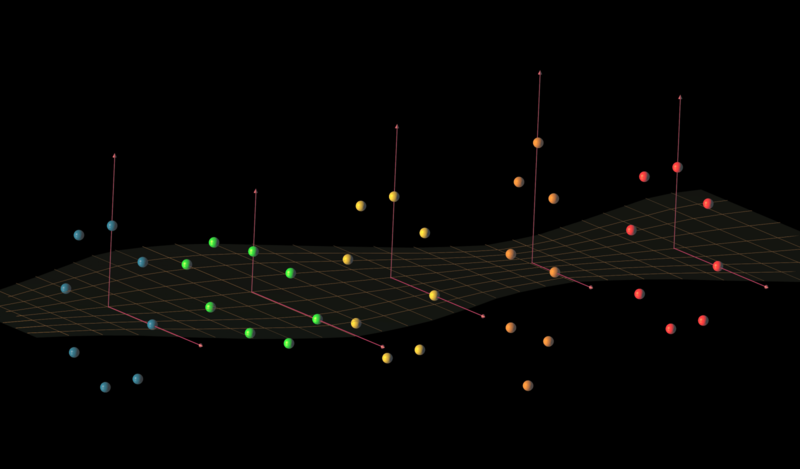 Illustration of the (largely exaggerated) effect a gravitational wave passing by five groups of test-masses. The masses do not interact between them. They are initially located along parallel circles centered around the same axis. The circles are separated by a quarter of the gravitational wave wavelength. The grid plane and the axis help the eye in order to visualize the modification of the distances between the test-masses.